Reporting your claim, or potential claim, online enables you to promptly report an incident and attach claim-related correspondence, legal documents and medical records. You will need your policy number and the location (state) of the incident. A Claims Specialist will review the information you submit and contact you within two business days to discuss the incident. 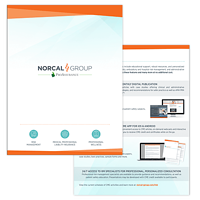 You can be assured that the information you provide to NORCAL—whether by phone or through our secure claims reporting page—is secure, privileged and confidential. If you are unable to report an incident online at the address above, please call 800.416.0791. You will need your policy number and location (state) of incident. A Claims Specialist will contact you within two business days to discuss the incident.